I ran across this recipe on Two Peas and Their Pod a couple of days ago and it was immediately on my menu/grocery store list. The list I keep is always tentative because it depends on what I can find that looks the freshest in the market that day and what is best price. Today I was supposed to go on a big grocery shopping spree but I went to a store that I wasn’t familiar with that was also undergoing construction and I just gave up and bought chicken breasts and cucumbers and spent $10! I never just pick up 2 things so it feel weird but oddly nice. I spent the extra time I had to go get a pedicure! I let the chicken marinate in a Ziploc bag in the fridge for an hour. In a medium bowl, whisk together the honey, lemon zest, lemon juice, olive oil, fresh rosemary, garlic, salt and pepper. 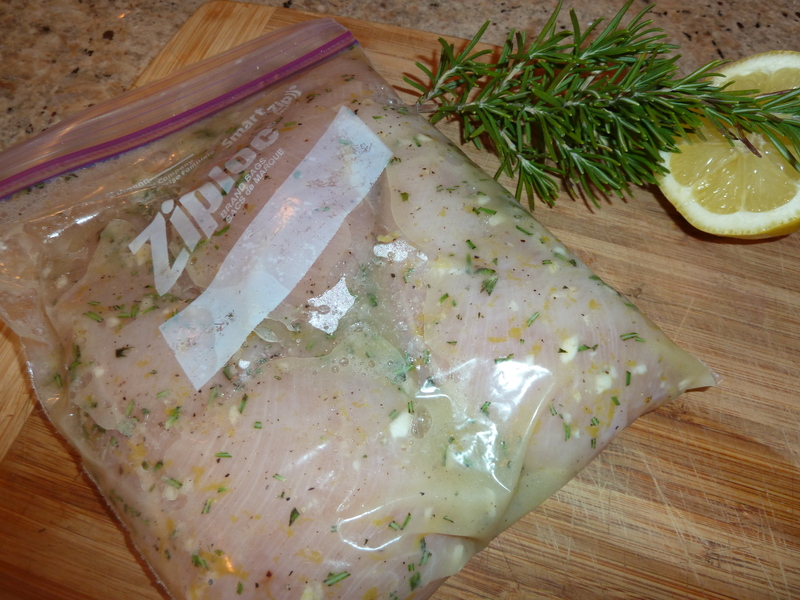 Place the chicken breasts in a Ziploc bag. Pour honey, lemon, rosemary mixture into the bag and mix around until the chicken breasts are well coated. Place the bag in the refrigerator and let marinate for 30 minutes up to overnight. Preheat a grill to med-high and brush the grill with olive oil. 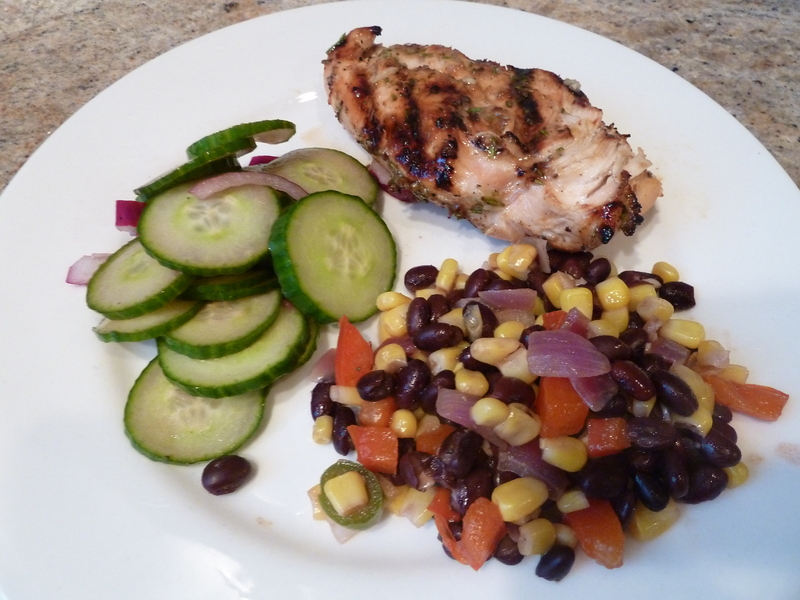 Remove chicken breasts from the bag and place them on the grill. Discard the bag and the juices they were marinating in. Grill chicken until cooked through. Removed from the grill and serve warm.